Coriander is a double duty herb. Its seeds are known as coriander and its leaves are known as cilantro. This herb has a very distinct taste that is best described as a fresh-green spice, and it is a perfect addition for indoor and kitchen gardens. Cilantro resembles flat parsley in its appearance and is sometimes called Chinese parsley. 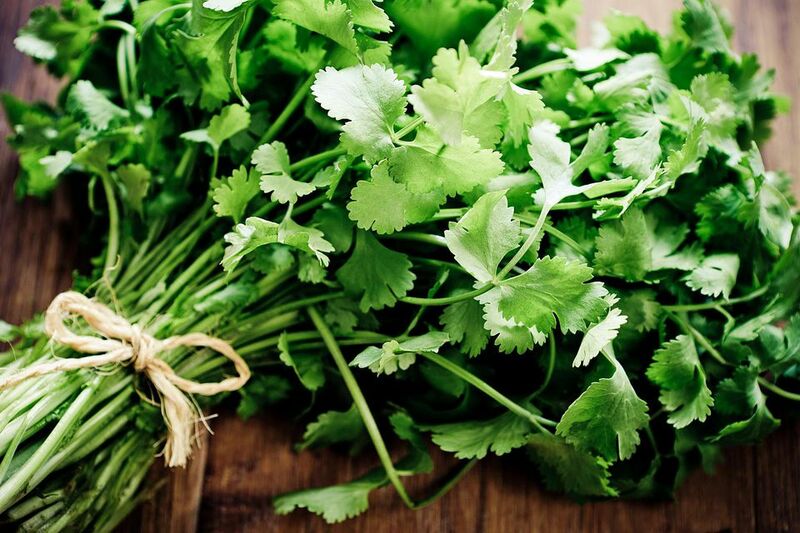 With its refreshing, cooling taste, it is easy to see why cilantro is used with the spicy dishes so common to Latin cuisine. There are four key facts to know about every plant in your garden. Most importantly, for coriander, note that this plant is an annual, so be sure to save some of those seeds for planting. This is a plant that can be in either sun or shade, so it's very easy to place in the garden. However, the placement is going to depend on the climate. For those who have very hot summers, keep the plants in the shade, so they don't go to seed too quickly. Full sun is perfect for mild summers or until the temperatures begin to rise. Cilantro can be grown in the garden, but many people prefer it in pots. This extends the life of the plant because it can continue to grow if it's brought inside for the winter. It is an easy herb to grow indoors as well as outside, and starting it from seeds is a breeze. Coriander likes well-drained, rich soil. It will bolt and turn bitter if grown at temperatures over 75 F, so plant it after the frost has passed, but enjoy it until the full heat of summer hits. At this point, maybe bring one of the plants inside to keep it cool and producing cilantro. This is a plant with a very short life. For those who really enjoy it and want it around all the time, sow the seeds on a regular basis. For those harvesting coriander seeds from their own plants, it's necessary to prep them before planting. Don't worry if it doesn't work the first time; the plant should be producing plenty of seeds by mid-summer for a second try. First, gently crush the seeds just enough to crack the shell. Then, soak the seeds in water overnight. Allow the seeds to dry, and plant them in a well-draining soil. For cilantro, harvest the leaves with sharp scissors, leaving about a third of the leaves on the plant so it doesn't die off. For those who want coriander, let a few of the stems go to seed, and then cut the entire flower. It is a good idea to have two separate plantings. This allows the grower to harvest the tender leaves and stems for cilantro while letting one patch go to seed for coriander and replanting. Cilantro is a common ingredient in Latin and Indian cuisines. The fresh leaves can be rinsed, patted dry, and chopped before adding them to a variety of dishes. Cook them in or use them as a spicy, fresh garnish for complex flavor like tacos. Cilantro can also be dried or frozen for long-term use. Freezing does retain more of the flavor, though dried cilantro is a bit more convenient to cook with. To release more of the flavor from coriander seeds, roast the seeds in a dry, hot pan for a few minutes until the smell becomes very strong. Grind these seeds in a mortar and pestle, or herb grinder, before use.